In this long-awaited episode of OTB, Nisant and Viknesh make their BOLD predictions for the first round of the NBA Finals. Will their be any upsets? Do the Warriors have an easy road to the 'ship? Will the Raptors win a Game 1? Listen to the show and find out! A jam-packed episode! Hope you enjoy it! And be sure to visit http://www.theriskyfox.com for more great shows. In our January episode, we talk about the return of Boogie Cousins to the Golden State Warriors, our thoughts on his performance, and then step back and ask ourselves if we'd ever want to see another 5-man all-star lineup AGAIN in our lifetime. Then we talk about Zion Williamson and the tanking happening in the NBA and should this behaviour be rewarded? We end the episode on Kyrie Irving and his conversation with LeBron. What do we want to see from NBA veterans in the form of leadership? A jam-packed episode! Hope you enjoy it! And be sure to visit http://www.theriskyfox.com for more great shows. In this episode, the trio discuss the impact of Butler on the 76ers. Are they now a top-three team in the Eastern Conference? Also, we swoon over the Warriors drama. Is the Draymond/Durant fight bigger than people think? And then we talk about Carmelo Anthony. What team will he be on at the end of the year? So much drama! So little time! Subscribe now! In this SPOOKY edition of Off The Bounce, the boys discuss the NBA's scariest player, who is itching to go BEAST mode, which team is officially the LAND OF THE DEAD, and more! From the Warriors to the Raptors, and everyone in between, this is the NBA podcast that you did not know you wanted in your life. Season Two Opener: Raptors, Lakers & NBA Predictions! WE ARE BACK! 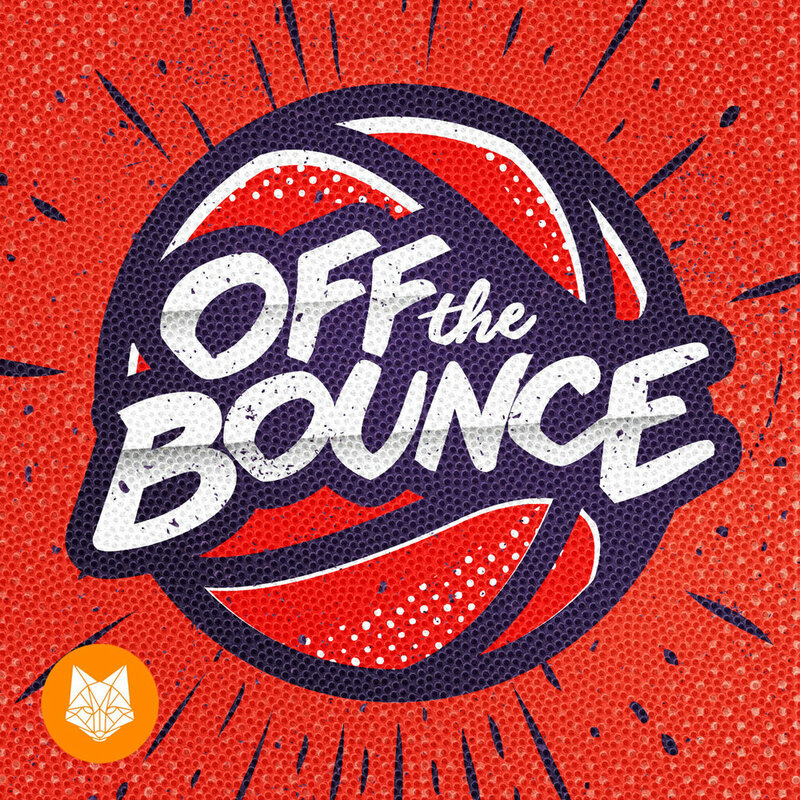 Season 2 of Off The Bounce is here! We give you our thoughts on this upcoming season for the Raptors. Break down our predictions for this upcoming season on conference winners, and MVP thoughts. And we introduce a new segment to our show featuring the "Commissioner's Notebook"! LISTEN, SUBSCRIBE, FOLLOW US on EVERY PLATFORM where you get your podcasts! Welcome To Off The Bounce! Basketball is life. And with Off The Bounce, Nisant and Viknesh relish in the awesomeness of basketball by discussing and debating everything happening in the NBA today. They're moderated by Gajan, who isn't afraid to jump in as well. No topic is too grand. No issue is too small. The trio speak their mind and try to bring some more insight to the happenings in the NBA. Our hosts look at the stars, the business, and where the NBA will be in the future. If you consider yourself a fan of basketball and enjoy a barbershop-style debate, make sure to subscribe to the show now.